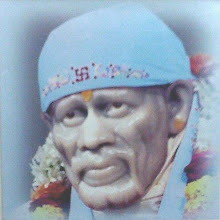 By far numerous posts and stories related to Sai Baba have been posted on this blog. Day by day I have been trying to find out uncommon and unread incidents of Baba's life stories, which gives me immense happiness. Baba's leelas are like deep ocean and His love are the waves, which have no beginning and no end, always present among us. The posts during any festival gives added pleasure. There is a feeling of family bond with you all and so Baba gives me such strength and resources to bring out something new for you all on these special days. Baba has always encouraged us to celebrate festivals and feel the presence of Almigthy. Makar Sankranti also called Uttarayan holds importance in all the festivals of India. The colourful kites in the sky makes us realise how Sai Baba has spread various feelings of joy, sorrow, hope, love, compassion in our lives. On this day, "Chikki" (sweet make from sugar or jaggery mixed with seasame seeds or groundnuts) are shared with loved ones and it is said in marathi "Til Gud Ghyaa Aani God God Bola" meaning eat Til Gud (i.e Chikki) and speak sweetly with everyone. Baba has also given us message to be humble and meek in our daily courses. Thus Baba's teachings can be inferred from ordinary dealings and be used practically without any extra effort. 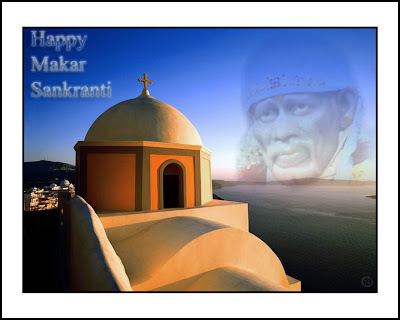 I once again wish you all Happy Sai Makar Sankranti to all the readers. The wallpaper has been specially created by Sai devotee Nimesh for you all. Click on the picture to navigate to download in high resolution.